The small Olimpia bag is new for Cruise 2019 in the exquisite new Intrecciato Pluma workmanship, which features a stylised feathery fringe in metallic nappa leather. 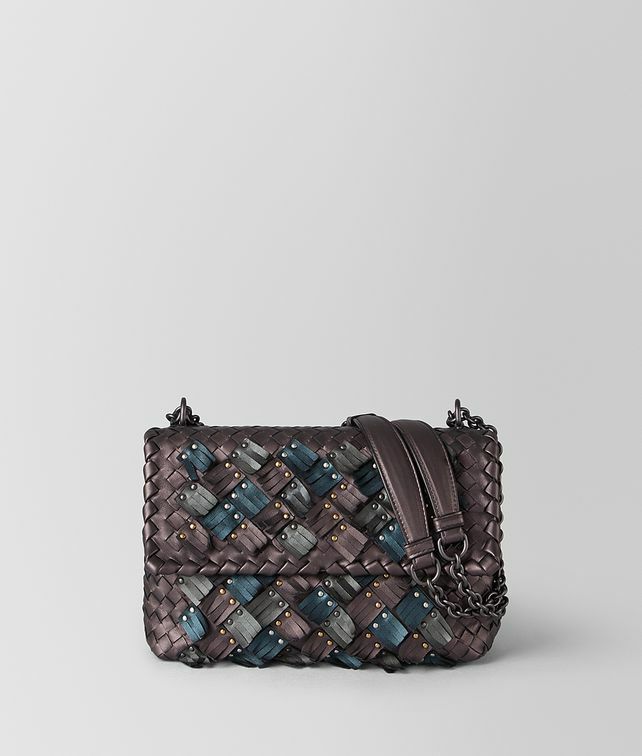 The intrecciato base is carefully embellished with fringed squares, in three hues, that are affixed with metal rivets. With a unique three-dimensional look in shimmering metallics, the style is ideal for the season’s festive occasions. Finished with a suede-lined interior divided into two compartments, a zip pocket and an adjustable chain-and-leather strap.